The tragic loss of ten-year-old Seraphina’s best friend, Josie Lee, leaves Seraphina questioning her destiny, until she learns she’s the chosen one. Everything changes after that. Fate has other plans. A past visit to a psychic and a wish on a shooting star whisks Seraphina away on a quest. 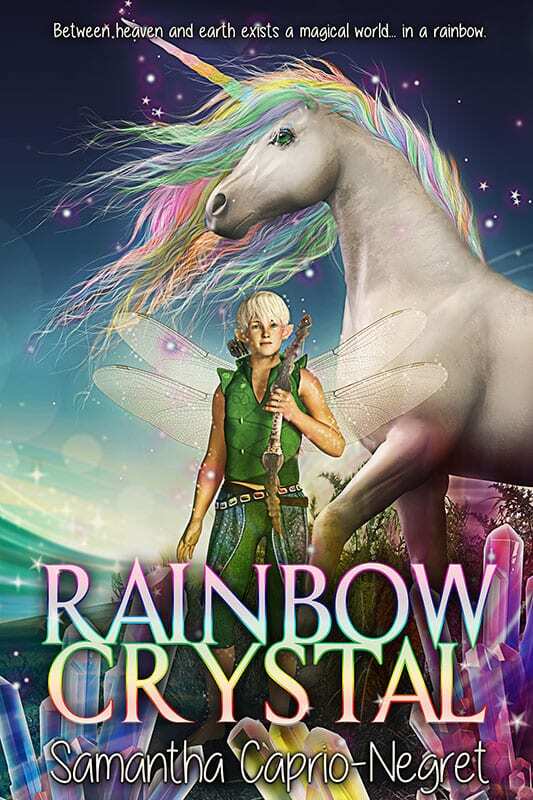 She finds herself on a mission to gain order back to a magical world called Raiven with its six different, colored- realms by returning a rainbow crystal back to its wizard owner that was stolen from an evil witch and her trolls. Seraphina will get to see her best friend’s spirit with the help of fairies, pixie dust, elves, and her very own unicorn. Throughout her journey, she passes a series of tests to find a rainbow crystal that has the power to restore balance to the world. However, Seraphina’s truest test is in discovering self-confidence and hope. Most importantly, she learns that Josie Lee is more of a guardian angel to her than she realizes and has never really left her side after all. It doesn’t even require magic, just a little faith. I got the vibe of NEVERENDING STORY meets THE SECRET… I can’t wait for the sequel! Even though this is a children’s book it grabbed me right from the beginning… as the fantasy unfolds you’re learning life lessons of love, friendship, hope and confidence. I would highly recommend this book for your child. This book delightfully breathes all the colors of the rainbow to a sparkling life with its detailed descriptions of characters, magical beings and fantasy-filled scenery. A wonderful read for middle-graders that delivers words of wisdom, hope, and everlasting love. Adorable chidrens’ book with hope and promise. Also who doesn’t love unicorns?! !